This article was originally published on August 8, 2011, in the Shenzhen Daily. Kingkey Banner Center is nestled away in the ground floors of a large apartment building. 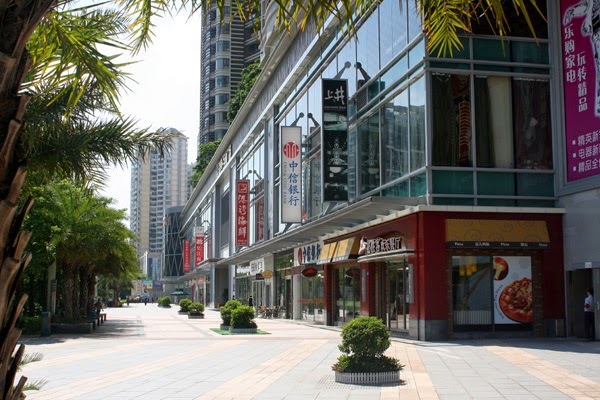 Shenzhen's larger malls are well-known. But when I went to look at the site of the new OCT Bay shopping center (to be opened later in August), I ran across a huge, little-known venue in the same area, and it was nearly deserted. 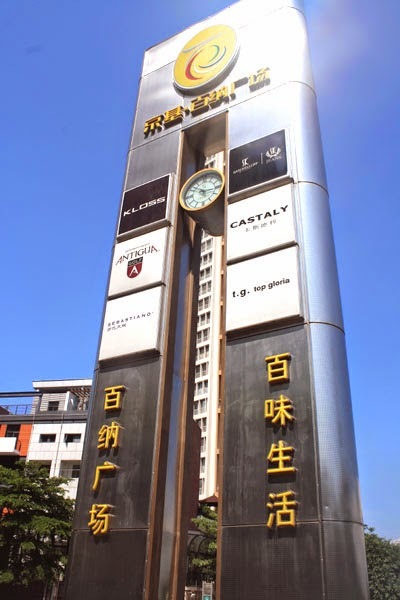 I'm talking about the Kingkey Banner Center--developed by the same people who brought us the KK Mall in Luohu, which is located in Shenzhen's tallest building. Banner Center is less conspicuous, located in the first floors of a large apartment building on Baishi Road between Shenwan 1st and 2nd Roads, directly north of the Hongshu Wan Station on Metro Line 2 (the Shekou Line). Finally, every level is loaded with restaurants. Lots of the western favorites (Starbucks, KFC, McDonalds, Pizza Hut, Dunkin' Donuts, Dairy Queen, TCBY) are there, as well as other familiar chains (Ajisen Noodles, RBT). 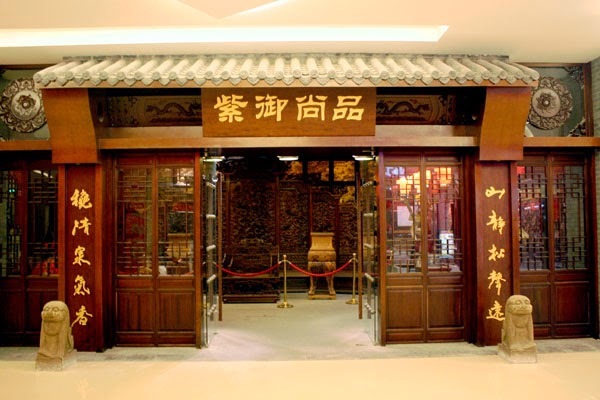 There are also a dozen or more fine Chinese restaurants. Those who prefer "the road less traveled" should check out this hidden shoppers' paradise!